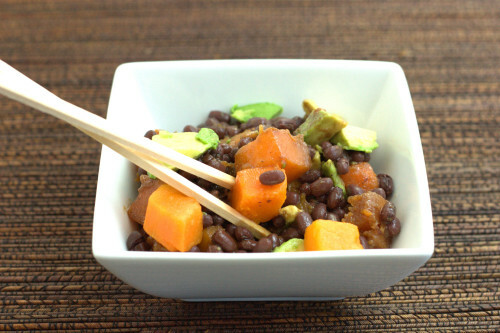 Since I am always on the lookout for new, healthy foods to incorporate into my family’s diet, it was about time that we tried adzuki beans. 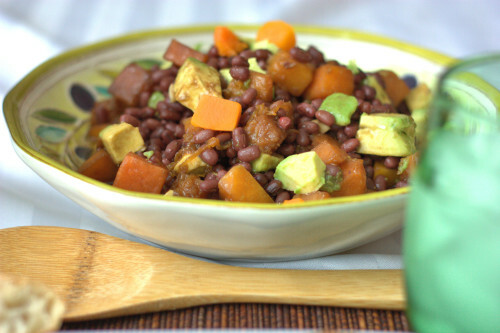 Adzuki beans (also called aduki beans) are a part of the legume family. They are often found in red bean paste used in Asian cooking and are easier to digest compared to other beans. After slowly cooking the adzuki beans, I mixed them with some butternut squash, avocado, and balsamic vinaigrette to make a colorful and delightful salad. Why try a new bean, you ask? *They are a source of high fiber, important minerals, and useful nutrients. *Can you really argue with trying something new? My whole family (kids included!) enjoy eating this as a side salad, though we have been known to eat it as a lunchtime meal with a bit of chicken stirred into the Adzuki Bean Salad and served over mixed greens. Place the adzuki beans in a large pot with 4 ½ cups of water. Place over medium heat and bring to a boil, then reduce the heat and simmer for 1 ½ hours, or until beans are tender, adding additional water if necessary (I usually have to add 1-2 more cups of water after about an hour). 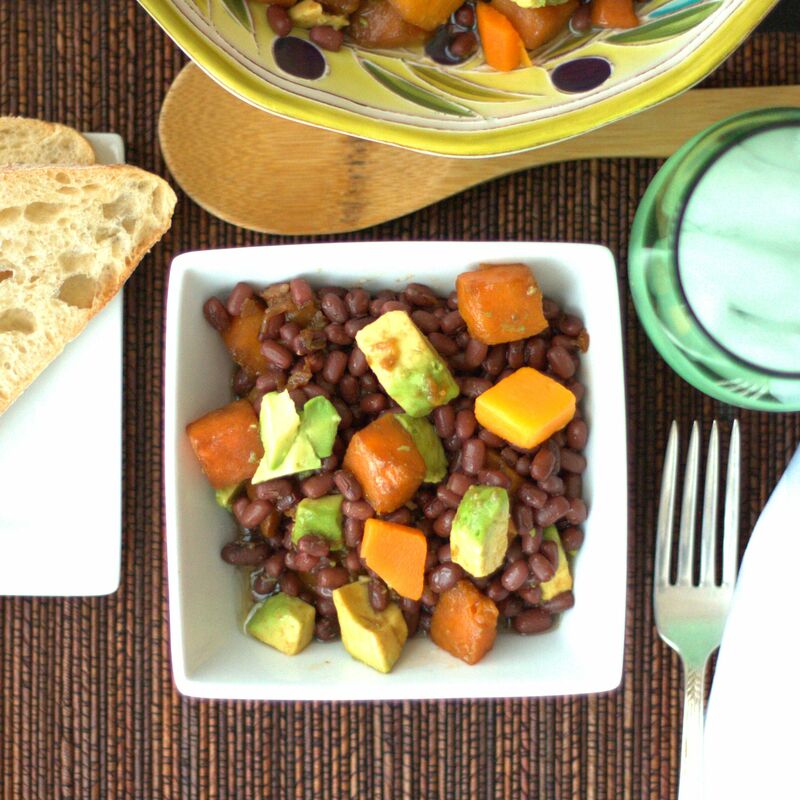 Drain the beans and place in a large bowl, then stir in the butternut and avocado. In a small bowl, stir together the oil, vinegar, salt, and garlic then pour over the bean salad and stir to coat. Serve immediately; refrigerate any leftovers. Note: Some cooking instructions recommend soaking the beans prior to use. My package indicated that no soaking was required, however I recommend checking your package and adjusting your cooking time as necessary if soaking is required. 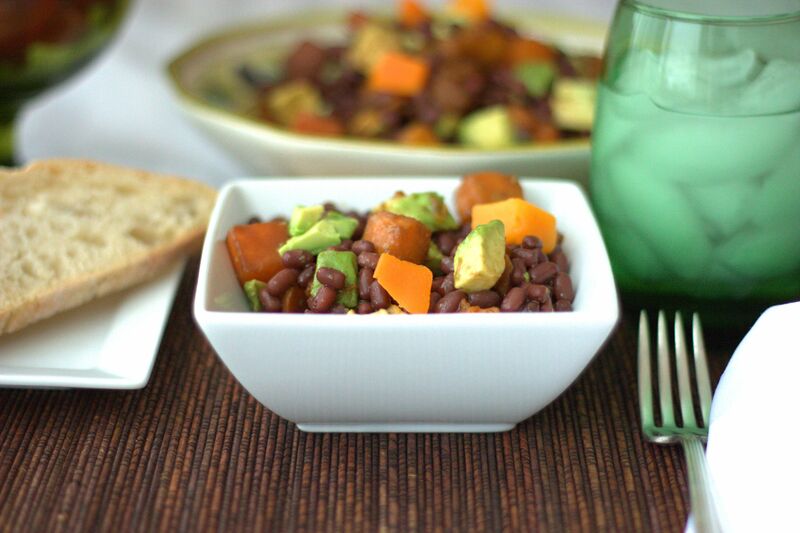 This entry was posted in Appetizer, Entree and tagged Adventurous Ingredient, avocado, bean, salad, squash.